Well this was fun, had no idea if it was even going to work. 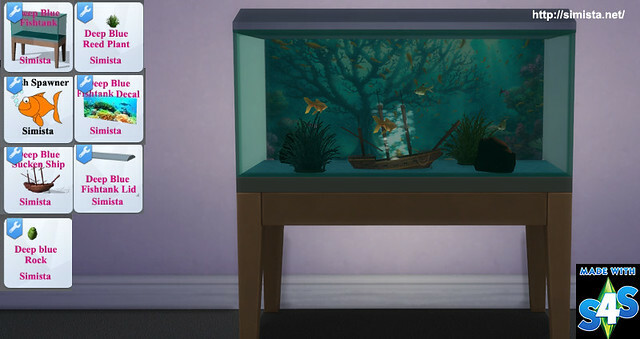 The Fish Tank and magical Fish Spawner. 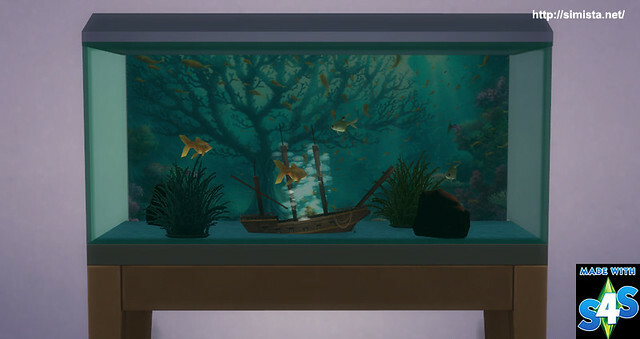 A Rock, Plant and Sunken ship as deco. A lid with a light and a background decal. Easiest way is to type "deep" into the search bar. when you place it the game, dunno why got sick of looking. but when you put the lid on it, it disappears. There some pics below with further instructions. Make sure you are in live mode then build mode as we need to swap between the two. Place the tank where you want it. 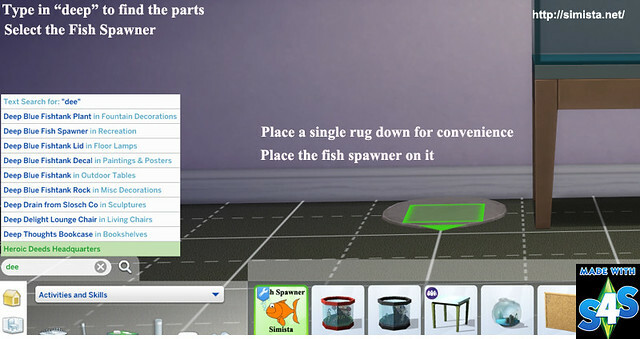 Place the fish spawner near the tank. so you need to know where you put it, I use a single square rug. 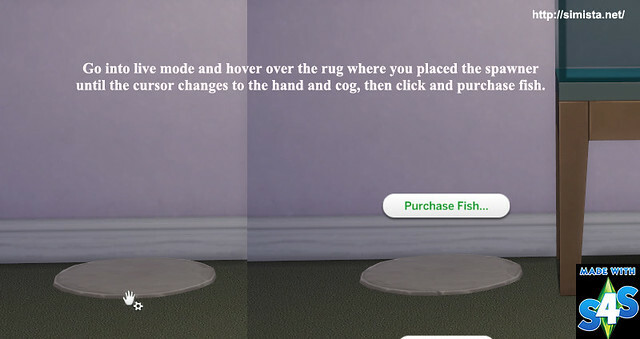 Select purchase fish. 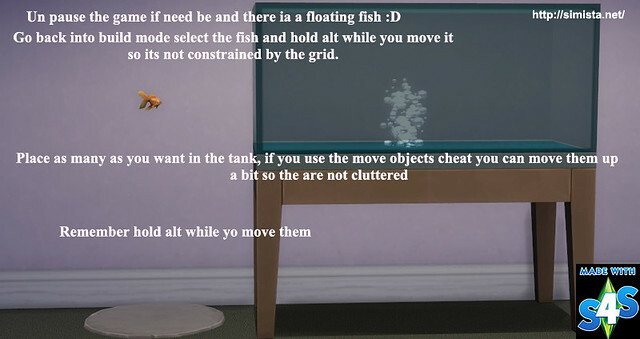 Go back into build mode to move the fish. it from the constraints of the grid. before you put other deco in so the slot does not get in your way. than one in the tank. Hi Mercuria you need Open for business Mr S should of mentioned that sorry. What is "Open for business"? Is that something else to download? I should have clarified - all the other components show up and are usable. It's just the tank that I can't find. Sorry I meant to say you need the Get to work expansion pack for the tanks to work in game. Hi Mercuria - I do plan on making another one that will require no Expansion Pack in the near future. there is only the decal in the downloads folder on both links, what happened to the other parts?